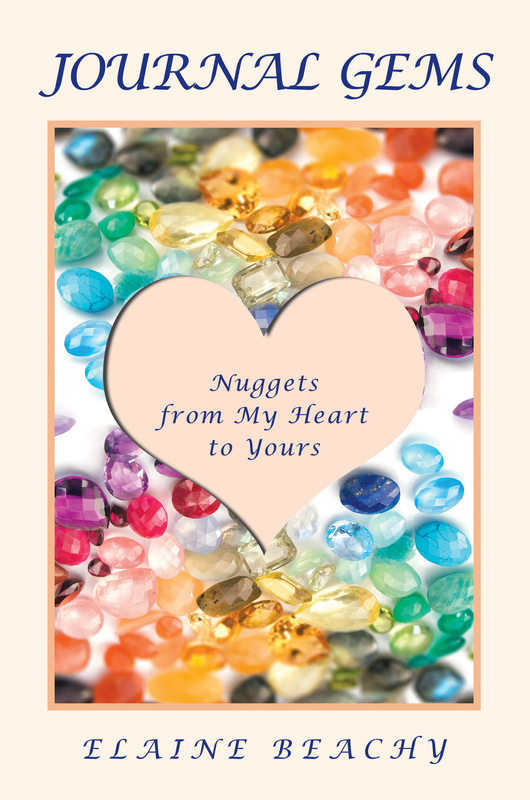 Divided into sixty entries with Scriptures for meditation and spaces for personal application and reflection, Journal Gems emanates love for God and empathy for life’s difficulties to bring hope, comfort, and victory to the reader. 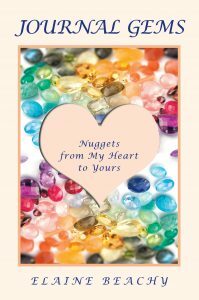 With an emphasis on the word of God, the author offers devotional meditations on a wide variety of subjects such as relationships, spiritual and physical health, self-image, marriage and much more. A list of scriptural promises for declaration are listed at the end of the book for easy reference along with the author’s favorite, Psalm 91. The reader will cultivate a closer walk with God by the encouragement and inspiration offered. Wherever Biff goes, trouble seems to follow. 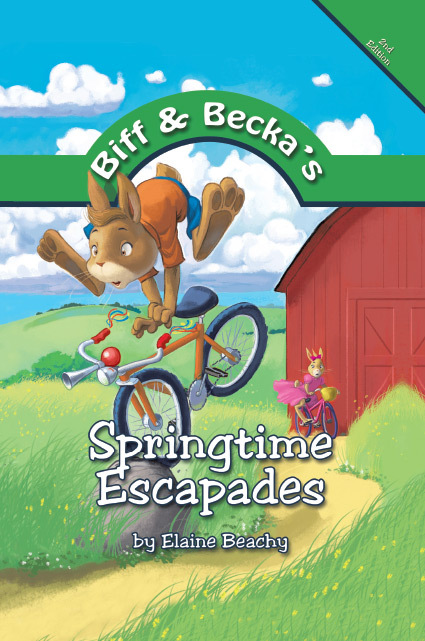 Whether he’s crashing his bicycle on a rock or making a narrow escape from the back of a pickup truck, Biff has a nose for trouble. Even kids at school call him “Biff Bait.” He feels like bait on a fishing line that catches and reels in trouble. Can’t he be a regular kid for once and have fun? The answer is life-changing to Biff and his parents. With a tender heart for children, the author takes adventurous rabbit siblings and shows how parents’ words influence their children. Lively questions at the end of the book are designed to stimulate interaction between parent and child. 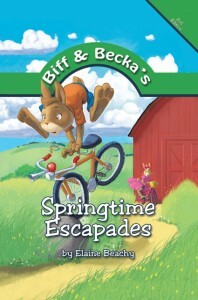 Biff and Becka’s Springtime Escapades calls to the child in each of us. 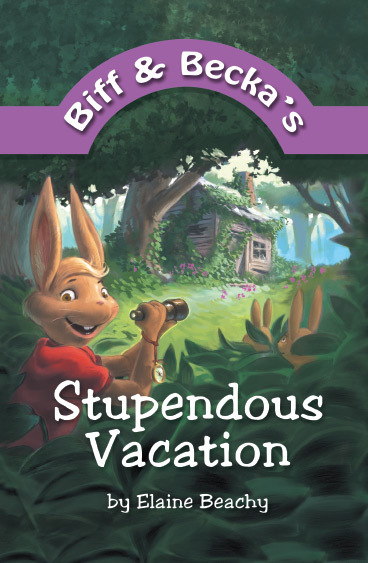 In interesting twists and turns, the author takes Biff and his rabbit family through a trying time that has a surprising outcome. Engaging questions for each chapter at the end encourage lively discussion between your child or grandchild and you. Elaine Beachy paints a picture of a godly home to give encouragement and guidance to parents who struggle and kids who hurt. 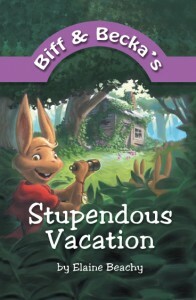 Notice: The audio book for Biff and Becka’s Stupendous Vacation, read by my daughter, Debra Yoder, is available at the West Bow Press Bookstore! Go to the bookstore tab at www.westbowpress.com and put in my name, Elaine Beachy. Hit “search” and my books will come up; scroll to bottom of page for the audio version and order it. You’ll love it too! Thanks! What child doesn’t anticipate Thanksgiving and Christmas? Especially Christmas! 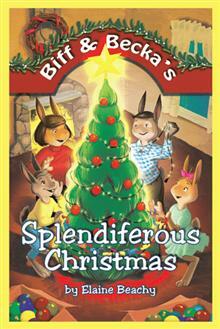 In Biff and Becka’s Splendiferous Christmas, can learn that it is more blessed to give than receive? A bully’s actions threaten to kill Biff’s Christmas spirit. Can it be revived? Find out what makes his Christmas splendiferous! Although written for children ages seven to eleven, adults will also enjoy the book. Copyright © 2014. Elaine Beachy. All rights reserved.